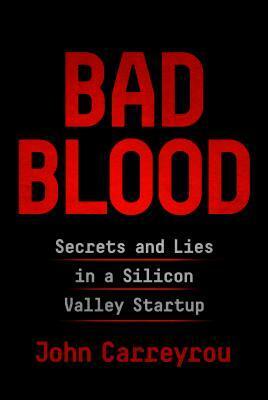 If there is one non-fiction novel that I have read this year that I would recommend to absolutely everyone it is Bad Blood. This is a story that I think everyone would be fascinated by regardless of the kind of books that you normally read. If you read primarily fiction I still think you will enjoy this book because it is so ridiculous that it almost seems like fiction. John Carreyrou is a journalist for The Wall Street Journal and that is quite apparent throughout the novel. He presents all the facts in a way that is captivating and well written. There was not a second where I felt bored. Carreyrou managed to gain the trust of and interview many people who worked for the company and it was interesting to get all of that insider knowledge. I want to keep this review as short and sweet as possible because if you have not heard of Theranos and the scandal surrounding the company, I think it is best to go in to this book with as little knowledge as possible. The events that take place throughout the book, and the important and intelligent people who were fooled by Elizabeth Holmes is quite shocking. This is a story that I will continue to follow. I am completely fascinated by it! I always find it so brave when someone is willing to share their experiences in such an honest and real way. I found that this is what Garrard Conley accomplished with his memoir. He talks about his life growing up knowing he was different and his experience at a program that practices conversion therapy. He does a wonderful job making the reader feel the emotions that he felt at that time. I saw another reviewer say that even though the author came across some really despicable people during this period of his life, he managed to humanize them. I completely agree with this and that says a lot about the kind of amazing person that Conley obvious is. Conley has always wanted to be a writer and that is apparent in Boy Erased. He tells his story is a way that is surprisingly beautiful given the horrors he is sharing. The epilogue is what stood out the most to me and really drove home the fact that these programs have had and continue to have devastating affects on those who attend them. I really hope that the book and the movie, which comes out later this year and stars Nicole Kidman and Russell Crowe, start an important conversation about conversion therapy and just how deplorable and archaic they are. 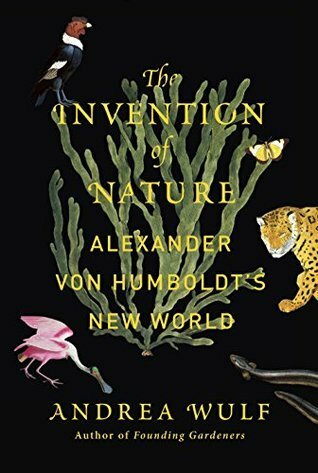 The acclaimed author of Founding Gardeners reveals the forgotten life of Alexander von Humboldt, the visionary German naturalist whose ideas changed the way we see the natural world—and in the process created modern environmentalism. Alexander von Humboldt (1769–1859) was an intrepid explorer and the most famous scientist of his age. In North America, his name still graces four counties, thirteen towns, a river, parks, bays, lakes, and mountains. His restless life was packed with adventure and discovery, whether he was climbing the highest volcanoes in the world or racing through anthrax-infected Siberia or translating his research into bestselling publications that changed science and thinking. Among Humboldt’s most revolutionary ideas was a radical vision of nature, that it is a complex and interconnected global force that does not exist for the use of humankind alone. I think I have fallen in love with Alexander Von Humboldt! I have been thinking about this book and this incredible man ever since I finished it last week. The Invention of Nature was recommended to me because I enjoyed Lab Girl by Hope Jahren so much. It sounded interesting and I expected to enjoy the experience but I did not anticipate absolutely loving this book and giving it five stars! Andrea Wulf is a fantastic writer, and while it was apparent that a LOT of research went in to this book, there was never a moment where I felt bored or I felt as though we were just given fact after fact. She brought Alexander Von Humboldt to life and she told his story is a way that I think he himself would be quite pleased with. If you are like me, you probably know nothing or very little about Alexander Von Humboldt and it is such a shame that history has forgotten about him. He had such a great influence on not only fellow scientists such as Charles Darwin, but also on writers like Henry David Thoreau. He also had very progressive thoughts on climate change and slavery. It was a joy to experience the world through his perspective. If you are at all interested in science and nature I would HIGHLY recommending picking this one up. Even if that is not usually your thing I still think you will find this book enjoyable. It is so beautifully written, and it is hard to not to fall for Humboldt! I also just found out that Andrea Wulf is releasing a graphic novel in 2019 about Alexander Von Humboldt and his adventures! I can not wait! Thank you! Start with Bad Blood! It will get you hooked on non fiction! Loved this post matey! I have been reading a lot of non-fiction lately and so I was interesting in seeing yer thoughts on these. I have wanted to read Lab Girl and will definitely pick up the invention of nature. Thank ye kindly for letting me know about it. The bad blood one is something the first mate is going to read. Bad Blood is on my TBR! It looks so crazy. I think the exact words Liberty at Book Riot used were “banana pants.” Boy Erased sounds really good too, I’ll have to add it. Yes!! She is why I read it! It’s such a wild ride! I definitely recommend Boy Erased especially because the trailer for the movie is amazing! I think that pretty much sums up my entire tbr. “Liberty made me read it”. Thank you! That book reminded me how captivating nonfiction can be! Such a wild story. If you are interested in nature at all I would definitely recommend it! He was such an interesting man and she’s a fantastic writer. I am planning to read everything she has written now! Great post! I’ve been wanting to read more non-fiction so this was helpful 🙂 Boy Erased sounds like a great book – I will check it out! Thank you! It is really great! I hope you enjoy it! Thank you! Ah you would so love The Invention of Nature! 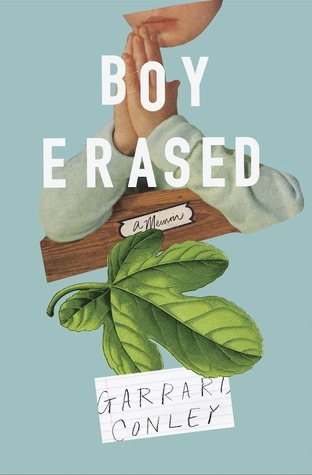 Oh man, I didn’t know that “Boy Erased” was a book! I need to get on that. I saw a trailer for the film and it looks really sad but also REALLY good. Great post! Wasn’t the trailer fantastic!? That is what made me want to read the book! Thank you! I know, eh?!!? Like, I’m totally gonna cry…but I’m okay with it. Thank you! Mini reviews are starting to become one of my favourite things to read and write!